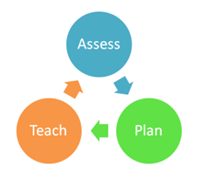 You will have a bank of existing strategies in school and in your working knowledge which you will already be using. We have also drawn up a chart using the three wave model to give some ideas of strategies and interventions that can be used to help as both a preventative intervention or as a remedial intervention. It is important that you give strategies plenty of time to have learning embedded but also to assess whether they are having any impact and consider changing if there is no evidence of progress. We have used evidence based strategies to put together a strategy bank for different areas of literacy, at each of the three waves. We have used evidence based strategies to put together a series of learning packs complete with resources for use with groups and individuals.